Essentially, every Bible is a translation. The ancient elements that became what we now call the Bible were originally written in Hebrew, Aramaic, and Greek on papyrus, leather, and clay. Some of the originals have been lost and exist only in copies that suffer from errors and omissions that have dismayed biblical scholars and translators. More modern editions, using more recent discoveries such as the Dead Sea Scrolls, try to render the Bible as accurately as possible from the ancient originals. By the end of the 20th century, the Bible had been translated into more than 1,100 different world languages and dialects. 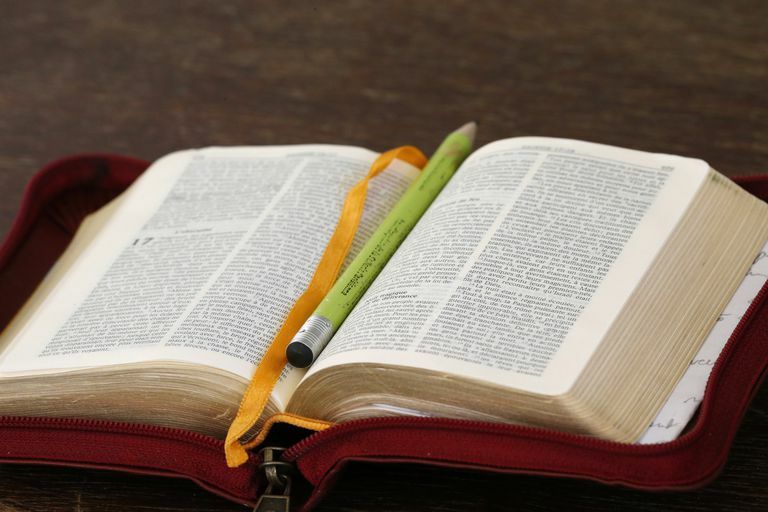 The history of biblical translation is long and fascinating, but here we'll concentrate on the German connections—of which there are many. The earliest Germanic version of the Bible was Ulfilas' Gothic translation from Latin and Greek. From Ulfilas came much of the Germanic Christian vocabulary that is still in use today. Later Charlemagne (Karl der Große) would foster Frankish (Germanic) biblical translations in the ninth century. Over the years, prior to the appearance of the first printed German Bible in 1466, various German and German dialect translations of the scriptures were published. The Augsburger Bibel of 1350 was a complete New Testament, while the Wenzel Bible (1389) contained the Old Testament in German. Johannes Gutenberg's so-called 42-line Bible, printed in Mainz in 1455, was in Latin. About 40 copies exist today in various states of completeness. It was Gutenberg's invention of printing with movable type that made the Bible, in any language, vastly more influential and important. It was now possible to produce Bibles and other books in greater quantities at a lower cost. Before Martin Luther was even born, a German-language Bible was published in 1466, using Gutenberg's invention. Known as the Mentel Bible, this Bible was a literal translation of the Latin Vulgate. Printed in Strassburg, the Mentel Bible appeared in some 18 editions until it was replaced by Luther's new translation in 1522. The most influential German Bible, and the one that continues to be most widely used in the Germanic world today (it saw its last official revised edition in 1984), was translated from the original Hebrew and Greek by Martin Luther (1483-1546) in the record time of just ten weeks (New Testament) during his involuntary stay in the Wartburg Castle near Eisenach, Germany. Luther's first complete Bible in German appeared in 1534. He continued to revise his translations up until his death. In response to Luther's Protestant Bible, the German Catholic Church published its own versions, most notably the Emser Bibel, which became the standard German Catholic Bible. Luther's German Bible also became the primary source for other northern European versions in Danish, Dutch, and Swedish. German "du" is equal to "thou" in English. Modern English versions of the Bible use "you" since "thou" has faded from English, but "du" is still used in German. Nevertheless, revised versions of Luther's 1534 Bible have updated many other language changes, using more modern usage to replace the outdated 16th century German. Here are some oft-quoted Biblical passages in German, with English translations. my head with oil: my cup runneth over. Our Father who art in heaven, hallowed be thy name. Thy kingdom come. Thy will be done, in earth as it is in heaven. Give us this day our daily bread. And forgive us our debts, as we forgive our debtors. And lead us not into temptation, but deliver us from evil. For thine is the kingdom, and the power, and the glory, for ever. Amen. The first five books of the Bible in German are referred to as Mose (Moses) 1-5. They correspond to Genesis, Exodus, Leviticus, Numbers, and Deuteronomy in English. Many of the names of the other books are very similar or identical in German and English, but a few are not that obvious. Below you'll find all of the names of the books of the Old and New Testaments listed in the order they appear.